Dr. Ismael Rafols, University of Sussex & Universitat Politècnica de València. While research portfolios have been extensively used as a heuristic for managing R&D with tangible economic benefits, they remain ill-defined in the wider science policy context, when research is aimed at achieving societal outcomes. We therefore analyze the uses of the term “research portfolio”, using analogies derived from the financial sector, but arguing for a new conception of public research portfolios. In particular, we insist on making connections to research landscapes, considering levels of diversity in research, focusing on interactions between projects, and adopting a broader interpretation of risk and returns of public research. Illustrating our proposals with bibliometric data and mapping techniques applied to avian influenza research, we argue that these new foundations can lead to tangible benefits for public sector research, fostering inclusivity, allowing for “alternative” portfolios to be considered, as well as promoting cost-effectiveness and transparency. Most importantly, we believe that our robust, yet basic, foundations for research portfolios can facilitate public deliberation and lead to the development of new science policy tools. Dr. Rafols works on the mapping of interdisciplinary fields and emergent technologies such as biotech or nanotech, combining scientometrics, network analyses and qualitative approaches. The goal of his research is to improve transparency and plurality in technology assessment and foresight, and in evaluations of scientific organisations. Dr. Rafols serves as Editorial Advisor in the journal Scientometrics. His research work has been published in Research Policy, Scientometrics, Journal of the American Society for Information Science and Technology, Technological Forecasting and Social Change, and so forth. 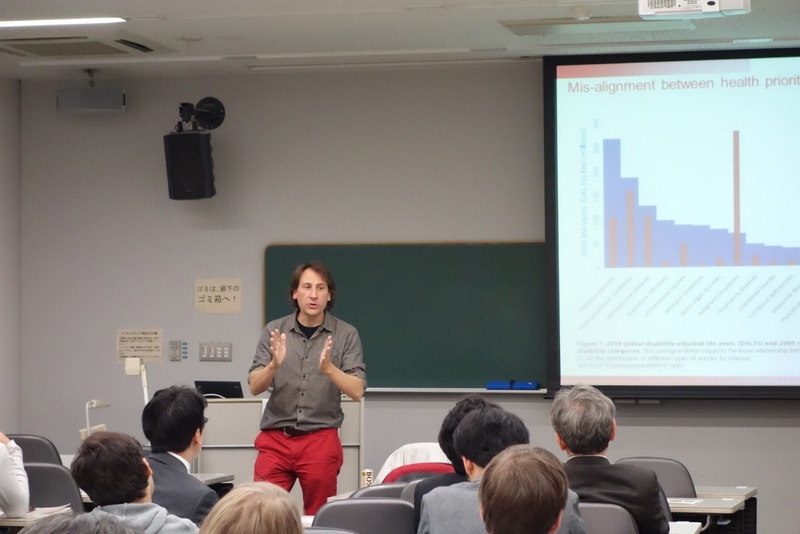 Dr. Rafols started his career in physics then pursues a specialisation in statistical physics and complex systems which eventually led him to conduct research in cell and developmental biology combining experimental approaches and mathematical modelling (PhD, Tohoku Univ). Afterwards, he came to SPRU to undertake an MS in Science and Technology Policy and shortly after joined the faculty. Since 2012, he became a research fellow at INGENIO (CSIC-UPV). He was awarded an EU postdoctoral Marie Curie fellowship and Ramon y Cajal Fellowship.